President Buhari joined other world leaders for a dinner hosted in honour of the visiting Heads of State in Paris. - SWANKYLOADED OFFICIAL BLOG. President Buhari joined other world leaders for a dinner hosted in honour of the visiting Heads of State in Paris. 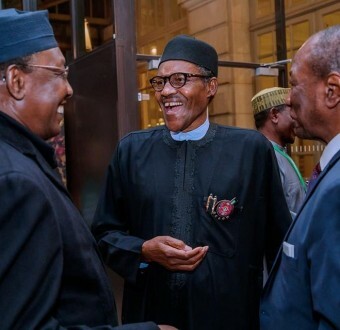 President Buhari who is currently in France for the Paris Peace Forum, joined other world leaders for a dinner hosted in honour of the visiting Heads of State in Paris. See more photos below.